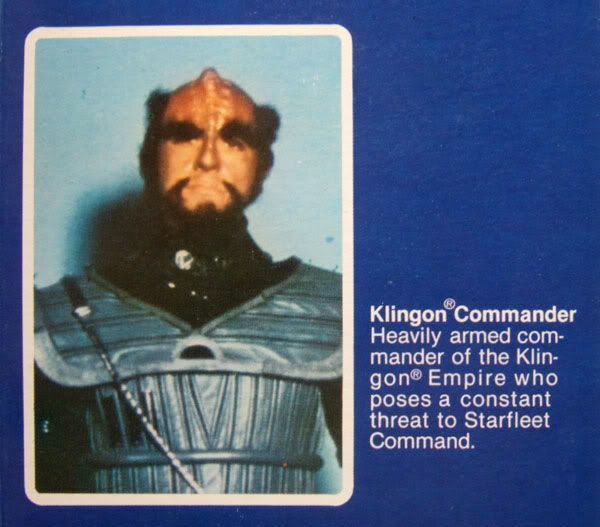 The Klingon was produced as part of Mego's 12.5" Star Trek: The Motion Picture line. Look at that costume! Remember that this figure is 30 years old now! I don't think a current company would have put that much detail into a mass-market 12" figure. 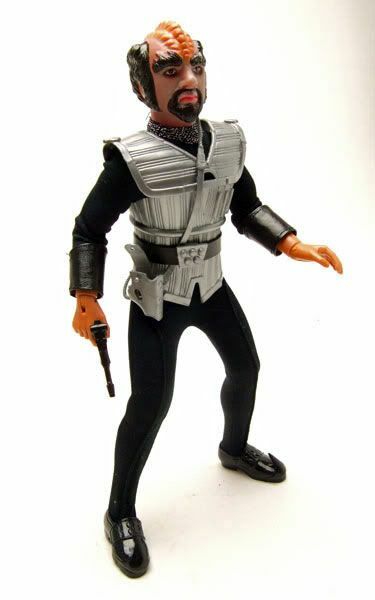 Mego really pulled out all the stops on this one and did a phenomenal job of reproducing what really amounted to a cameo character in the film. 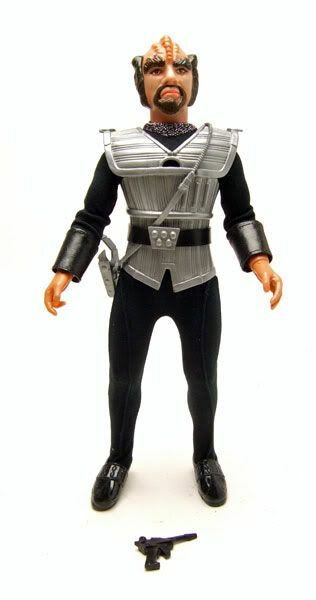 Mego handled the chest 'armor' of the Klingon by reproducing it as a plastic shell around the cloth outfit. The effect is great and really sets the figure apart from the standard cloth outfits of the other characters. The sculpt on the chest armor is very detailed and looks great even by today's standards. 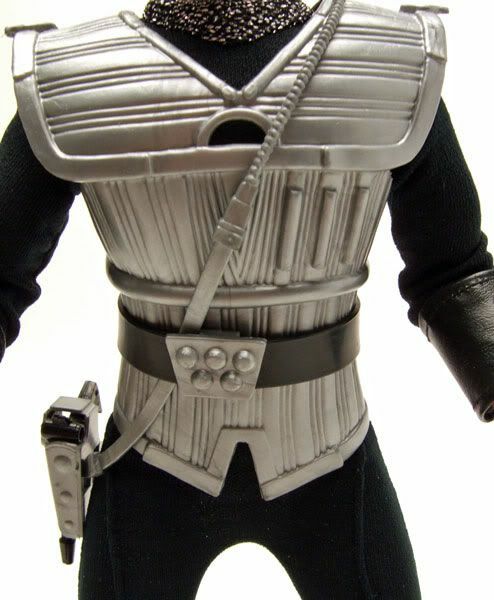 A separate holster drapes across the chest and houses the Klingon's weapon. 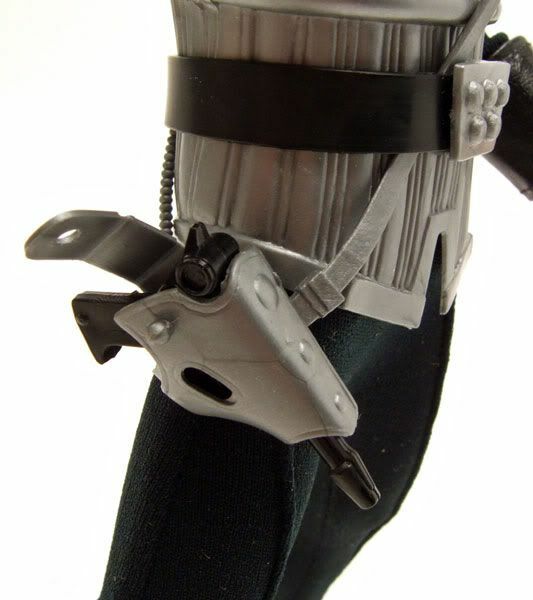 The holster has a small peg to keep the holster closed over the weapon. It's a really nice addition to the figure (plus I've always been a sucker for working holsters on figures). 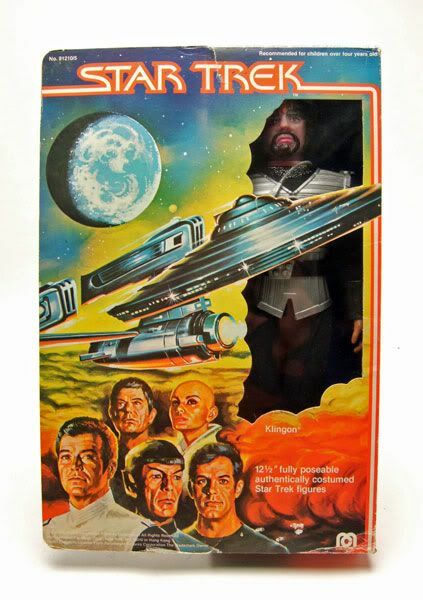 Like the other figures in the line, the Klingon has little plastic shoes over his cloth leggings. Do I wish they were full boots? Of course. But again, these were mass-market dolls made 30 years ago for an insanely low-price point, so I can understand some cost cutting. 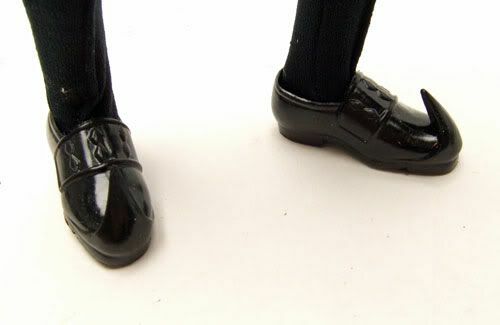 I do love the shoe mold though, with it's curly point. 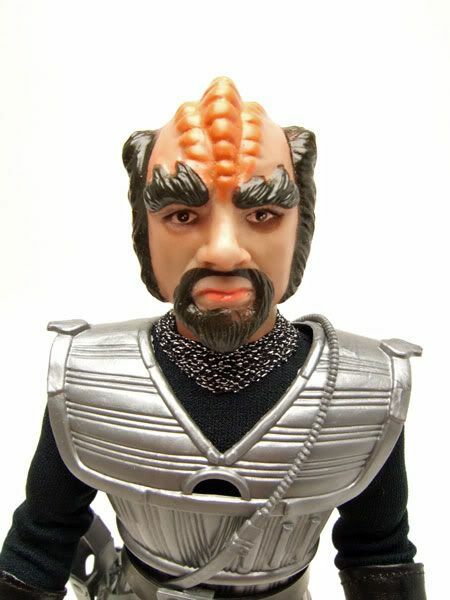 It's a perfect look for the Klingon (the boot was also used in Mego's Buck Rogers line). 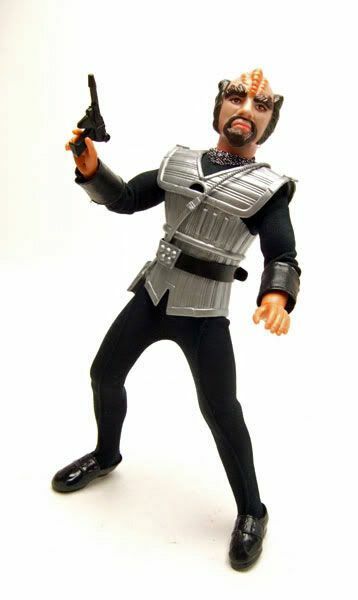 Accessories: The Klingon came with his aforementioned uniform pieces, and this small gun. 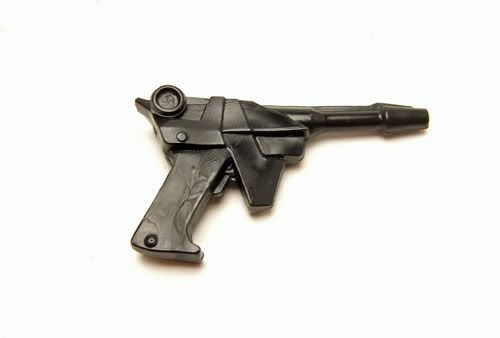 The gun was also used in the Buck Rogers line, but it works just fine with the Klingon here too. Oh, and it fits really well in the holster.